I developed this parenting plan template based on over 200 custody evaluations I have conducted during the past five years. One of the things I consistently observed was that parents did not have a clue about how to make REALISTIC long term plans for their children. This parenting plan template will get you started. What You Need to Know Before Starting! This template will guide you in developing and creating your own individualized parenting plan. Because no two families are alike, there is no one parenting plan that will identify and address the needs for all families. This template will serve as a directive to assist you in creating your own individualized parenting plan. One of the most important features of an effective parenting plan is that it must be understood by any adult reading it. This plan should educate and familiarize any reader about your family situation. Although the main purpose of this document is to motivate a settlement between you and your ex-spouse (who of course does not need to be educated about your family), it should be kept in mind that a judge may also be reading it. So when developing your parenting plan, keep in mind the different people and audiences that may be involved. You will find a number of headings in this document. These headings will form the backbone of the document. They will direct how you will formulate your individualized parenting plan. Remember that when writing your parenting plan, do your best to keep things factual when describing your past and current family situation as well as your children’s needs. In other words, do not embellish the text with editorial comments. On the other hand, you are welcome to express your personal views regarding your expectations and plans for your children. But DO NOT badmouth your ex-spouse. This will not encourage a settlement and will not win you any points with a judge. This document is not about your marital problems, the reasons why your marriage broke down or your ex-spouse’s inadequacies. If you feel a need to identify some specific problems within your ex-spouse, address them as concerns and not as complaints. Keep in mind that unless there is a reason why your children should not have a relationship with your ex-spouse (i.e., abuse, mental health, criminal and /or drug history that impairs their ability to parent safely), then your parenting plan should reflect your children’s right to maintain a relationship with both parents. Keep in mind as well that "joint custody" (i.e., both parents maintaining legal custody of the children) is theoretically the norm. The presentation of your parenting plan will have a tremendous impact upon how it is received by others, particularly a judge. Make sure that it is formatted using this template, is free of spelling and grammatical errors, and is easy to read and understand. Before submitting it, have a friend review it for content and meaning. If you so desire, I would be pleased to review your document on a consultative basis and provide you with the necessary feedback. Feel free to contact me at (204) 487-7247. Describe your family routine pre-separation – division of labor, activities for the children, income splitting, religious and social activities, educational preferences if any etc. Here is your opportunity to talk about the things that are important to you regarding the future care/parenting of your children. Make sure that it is focused on the children’s needs and your ability to meet those needs. 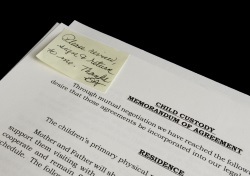 As indicated previously, keep in mind the court’s preference for joint custody and ensuring that children maintain relationships with both parents. You may also want to talk about discipline and how your children’s needs will change across time. This is your opportunity to describe your hopes and dreams for your children. A page or two at the most should do it. Here is where you can talk about the "nuts & bolts" of your parenting plan. This is where you lay out the logistics of how you will meet your children’s needs. Keep in mind that if you want to be successful in motivating a settlement, you will need to provide more than one option for parenting your children. 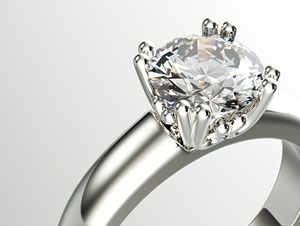 I would suggest that you provide 3 basic option plans which in the end can be considered alone or together. If you do it this way, you will demonstrate your ability to be flexible, your concern for your children and your willingness to go beyond "black and white" thinking ("it’s my way or the high way" thinking). Using a visual calendar works best in laying out the parenting schedules. These will condense what would otherwise take several pages to explain. You should limit yourself to one pay per schedule option. Here is where you can add some emotional commentary about your children, their needs and the importance of developing a plan that will pave the way for their future. This can be done in a paragraph or two. Your entire document should not exceed 10 pages. 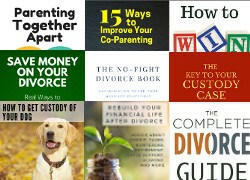 Copyright by Dr. Reena Sommer, Author of Developing an Effective Parenting Plan and other great divorce books.